Congratulations to Minnesota educators, students and families, based on a new report from the College Board, which publishes the Advanced Placement exam. A study released Oct. 7 shows that growing numbers of Minnesota students are taking and passing at least one AP exam, among the more than 30 that are offered. While the percentage of students passing the AP exam has room for improvement, it’s good news that more high school students are challenging themselves by taking college-level courses. –Saving themselves and their families college costs. –Increasing the likelihood that they will be well-prepared for college. –Increasing their chances not only of entering but also graduating from a four-year college or university. The new report identified one area of concern: It would be better if more students did well on the final exam. It’s graded on a 1-5 scale, with 5 being the highest; 3 is considered a passing grade by many colleges. Sixty-five percent of exams taken by Minnesota public school students were scored at a 3 or higher. That means that about two-thirds of these exams earned what would be acceptable for credit at many colleges and universities, and one-third did not. Nationally, according to Kate Levin of the College Board Communications Office, about 57 percent of exams taken by public school students earned a 3 or higher. Minnesota’s report has mostly good news. The number of Minnesota public school 11th- and 12th-graders taking at least one AP exam more than doubled from 2004 to 2014, from 8.5 percent to 18.1 percent of students in those grades. MDE reports that more than 36,000 Minnesota students took an AP exam in May 2014. MDE also noted that since 2010, AP test taking by American Indian students increased by 32 percent, Asian student participation increased by 57 percent, black student participation grew 61 percent, and Hispanic student test taking grew by 98 percent. A slightly smaller percentage of Minnesota students took an AP examination compared to the nation as a whole. The College Board reports that nationally, 21.9 percent of 11th- and 12th-grade students took at least one AP exam in May 2014. That compares with 18.1 percent of Minnesota 11th- and 12th-graders. That should not concern us, because Minnesota youngsters have among the nation’s broadest array of opportunities to earn college credit while still in high school. Several of them involve taking courses taught by teachers in their high school, such as AP, International Baccalaureate, College in the Schools or Project Lead the Way. The Postsecondary Enrollment Options program allows students to take free courses on college campuses. Some researchers have criticized the AP program as focusing too much on the final test, leading to courses that don’t go into enough depth. Perhaps partially in response, a report (online at http://bit.ly/1kT0JPu) by the College Board found numerous benefits for students who did well on the test. It would be good to have independent researchers studying the relationship between doing well on AP exams and college graduation. National statistics for 2014 are available here: http://bit.ly/1rgKdGV. 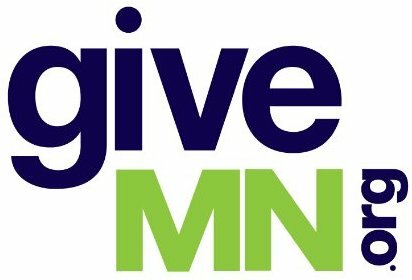 Minnesota-specific information is here: http://bit.ly/1y5yUKm. In a press release, Minnesota Commissioner of Education Brenda Cassellius wrote, in part: “This is one more piece of good news for our kids, teachers and families that Minnesota is on the right path and making progress. More and more, our students are getting a head start on their postsecondary education.” I agree.